Bu proje, Bizans Müziği'ne ilişkin sistemli bir araştırmanın ürünüdür. İstanbul Rum Ortodoks Patrikhanesi Kilisesi'nin başmugannisi İakovos Nafpliotis tarafından kaydedilen ve 60 plaklık bir seri halinde yayımlanan bu ilahiler, Patrikhane'nin müzik geleneğinin bir parçasını temsil etmektedir. Söz konusu plaklarda yer alan yaklaşık 200 ilahi, bu 5 CD'de yeniden bir araya getirilmektedir.Bu derlemede, Bizans Müziği'nin ve İstanbul Rum Patrikhanesi'nin müzikal üslubunun karşılaştırmalı olarak ele alındığı, İakovos Nafpliotis'in hayatına ve yapmış olduğu önemli ses kayıtlarına ilişkin bilgiler de içeren, bilimsel bir inceleme yazısı da yer almaktadır. Ümit ediyoruz ki, bu çalışma, Bizans Müziği'nin otantik kaynaklarının geniş kitlelerce tanınmasına ve bu alanda yeni müzikolojik araştırmalar yapılmasına vesile olur. 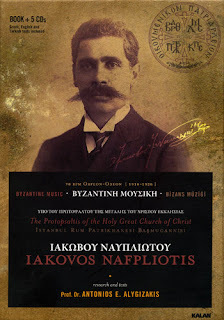 This book and 5 CDs contain almost 200 old byzantine hymns and I. Nafpliοtis' (1864-1942) biography. Nafpliotis was one of the first as well as the greatest psaltis to have ever been recorded. This project, a systematic research on Byzantine music is the product. Istanbul Greek Orthodox Patriarchate of the Church are saved by başmugannisi İakovos Nafpliotis and released in a series of 60 recordings of this hymn, the Patriarchate's music represents a part of tradition. 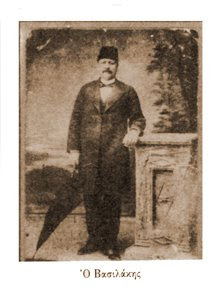 Hammamizade İsmail Dede Efendi (1778-1846) was a composer of Turkish classical music. He was born on 9 January 1778, in Istanbul, Şehzadebaşı. He started studying music with Mehmed Emin Efendi, at the age of eight. He attended rituals at Yenikapı Mevlevihanesi, a place of Mevlevi gathering. 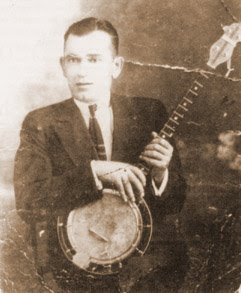 He studied with Ali Nutki Dede and learned to play ney, in Yenikapı Mevlevihanesi. He became "Dede" in 1799. Dede Efendi's music was well appreciated by Sultan Selim III and then he performed his works at the palace. He had composed hundreds of songs and mevlevi rituals. In 1846 he pilgrimaged to Mecca, but in Mina contracted cholera and died. His grave is now in Mecca. 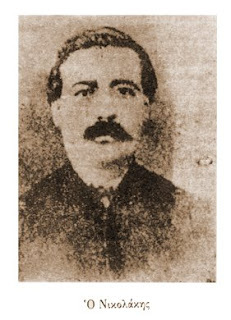 Dede Efendi gave lessons in Turkish music to Hamparsum Limonciyan who developed the Hamparsum notation, the dominant notation for Turkish music. One of the greatest Turkish composers, he has created masterpieces in all forms and modes of Turkish music. 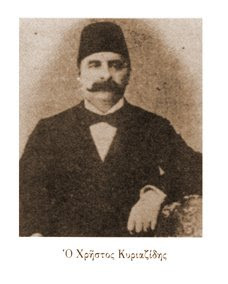 He has also developed the composite musical modes of "sultanî yegâh", "nev-eser", "saba-buselik", "hicaz-buselik" and "araban kürdî". His greatest works are the seven Mevlevi pieces for Samah. More than two hundred of his compositions are available today. Yurdal Tokcan is considered one of the finest oud players in the world today by many music authorities. His style combines older traditions with many new stylistic innovations, which are also present in his playing of the fretless guitar. His many new compositions combine traditional rich melodies with polyphonic textures performed on Turkish classical instruments. Tokcan was born in Ordu on the Black Sea cost of Turkey in 1966. He is a 1998 graduate of Istanbul Technical University’s Turkish Music Government Conservatory. While completing his masters program there, he joined the faculty as an oud instructor. Tokcan continues to teach, sharing his knowledge, experience, and technique with Turkish and foreign students. In 1990, he joined the Culture and Tourism Ministry’s Istanbul Government Music Ensemble under the artistic direction of Tanburi Necdet Yasar. As a member of this ensemble, Yurdal performed in France, Holland, Belgium, and Spain. He is a member of the Istanbul Fasil Ensemble and the Istanbul Tasavvuf Music Ensemble, and a founding member of the Istanbul Sazendeleri (Musicians of Istanbul), a group dedicated to presenting Turkish instrumental works. Tokcan has participated in many recording sessions and has performed internationally, in Germany, France, Belgium, Netherlands, Spain, Greece, Japan, Turkmenistan, Israel, Tunisia, Lebanon, Bosnia, and Northern Cyprus. As a soloist, Tokcan performed in the Netherlands with the Amsterdam Percussion Group and Chamber Orchestra in a program titled European Music Around Oud, and with the Tekfen Philharmonic Orchestra in Turkey, the United Kingdom, and Belgium. Tokcan joined Burhan Ocal (percussion), Goksel Baktagir (kanun), Selim Guler (kemence), and Arif Erdebil (ney) in a French concert, the recording of which won the 1998 “Best Ethnic Album” in France. Tokcan has played in many of ney virtuoso Kudsi Erguner’s ensembles, both in Turkey and abroad. He performed in Israel with Group Baharat and with long time collaborator, kanun player Goksel Baktagir. Recently, Tokcan has been recording and performing with Israeli Ladino artist Hadass Pal Yarden. His work can also be heard on “Bende Can” (Inner Soul), an album of his original compositions. Tokcan represented Turkey in several international festivals and celebrations, including the 3rd International Oud and Lavta Festival in Dresden, Germany and the 2002 International Oud Meeting in Thessaloniki, Greece (along with oud players Ara Dinkjian, Simon Shaheen, Haig Yazdjian, and Omar Bashir). In 2003, he performed at the Oud Festival in Jordan, gave two concerts at the Arabic Music Festival at the Cairo Opera Hall, and performed during celebrations of the 2003 Turkish Year in Japan. Tokcan was invited to perform in Kudus in a pan-Mediterranean music festival (along with Selim Guler, Ross Daly, Zohar Fresko and Yinon Muallem). He has performed with the Mercan Dede Ensemble in various festivals, including the Akbank International Jazz Festival in Istanbul. Tokcan’s recent activities include continued participation in Turkish Year in Japan during 2004 with Tekfen Philharmonic Orchestra. In addition, Istanbul Sazendeleri (Musicians of Istanbul) has played in Crete (August 2005), Estonia (October 2005), Tokyo, Japan (Turkish year events closing concert, May 2004), and concert with Ross Daly in Bursa, Turkey (November 2005). Tokcan also performed a duo concert at the International Oud Festival in Jerusalem (December 2005) with Israeli percussionist Yinon Muallem. 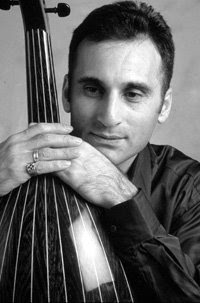 Kanun player -born in Kirklareli in 1966, Göksel Baktagir began his music education at the age of eight under the supervision of his father Muzaffer Baktagir. He graduated in 1988 from ITU State School of Art for Turkish Music where he was registered in 1983. A year later, he started his graduate study at the same school. In the same year he was appointed as the kanun (zither) player to the State Turkish Music Group of Istanbul which was under direction of Tanburi Necdet Yasar. During this period, he gave concerts in England, France, Belgium, Denmark, Holland, Switzerland and Türkmenistan with the Necdet Yasar Ensemble and with various other groups. Göksel Baktagir began to compose during his studentship in the conservatory and has done 140 compositions, 35 vocal and 105 instrumental works. Most of his works are incliuded in TRT repertoire. His zavil ("a style in Turkish music") intrumental work, "Sazim" (My Instrument), was awarded by a contest organized by TRT in 1990. His muhayyerkürdi song "Tek Kelime" ("A Single Word"), was among the 10 most popularsongs of 1997 in a contest organized by the newspaper Milliyet. In 2000, his album "Dogu Rüzgan" ("The Wind of East"), was awarded by the Turkish Authors' Association (Türkiye Yazartar Birligi). Baktagir has been working on the "left hand" technique that is unique to him since 1984 along with other techniques in the performance of the zither. Recognized as one of the leading artists of our time in traditional performance of the zither, he evaluated all opportunities and limits of the intrument, which is originally a Turkish music intrument and broadened the perspective towards other world musics. In this context he succeeded in creating superb works in some genres such as New Age and Jazz and gave concerts with various western Jazz Groups. He performed with Susan Kalifastau in the Akbank Jazz Festival 1994 and with Lawrence "Butch" Morris in the Akbank Jazz Festival 1995. The 1995 concert was released as an album in 1996. Upon the invitation of Burhan Öcal in 1997, Baktagir performed in a concert in France with several other musicians; Arif Erdebil (nay), Yurdal Tokcan (oud) and Selim Güler (kemence). This concert was also released as an album "Orient Secret" in 1998. He performed with the Mercan Dede Ensemble in a concert "Selimname - Evrensele Acilan Kapinin Aydinlik Sesleri" in May 2000, and since 1998 he has been giving concerts with the group "Istanbul Sazendelen" around Turkey, expecially in academic institutions. Göksel Baktagir has some recorded works such as "Okyanustaki Sesler" which includes his twenty instrumental works he composed in the framework of the classical norms: "Kervansaray-3", "Günlük", "Dogu Rüzgari", "Okyanustaki Sesler-2 (Cananim)", "Okyanustaki Sesler-3 (Hüzün)", "Sezgiyle seslenisler", "Café Istanbul", and "Hayal gibi". Baktagir composed for the soundtrack of the documentary about Istiklal Marsi (The National Anthem) produced by CNN Türk. He is working on a "zither metod" to be published and his book "Okyanustaki Sesler", which will include the scores of his works that are in his albums, is about to be published. Along with his primal appointment in the State Turkish Music Group of Istanbul, he also performs in the Istanbul Fasil Group and the Istanbul Tasavvuf (Sufi) Music Group. He participated in the "International Rabat Festival" in Morocco and the "Bas Carsi Festival" in Sarajevo in which he did 7 CD and cassette recordings. In recent years Göksel Baktagir has been giving lectures in the Mimar Sinan University State School of Art and the Halic University. Γεννημένος στην Kirklareli, το 1966, ο Goksel Baktagir ξεκίνησε τις μουσικές σπουδές του στην ηλικία των 8 χρόνων, υπό την επίβλεψη του πατέρα του Muzafer Baktagir. 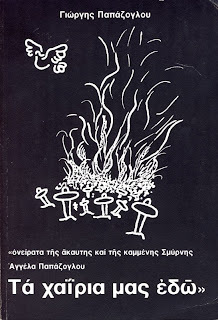 Αποφοίτησε το 1988 από το ITU State School of Art of Turkish Music. Την ίδια χρονιά γίνεται μέλος του State Turkish Music Group of Istanbul, το οποίο εμφανίζεται υπό τη διεύθυνση του Tanburi Necdet Yasar. Αυτή την περίοδο δίνει συναυλίες στην Αγγλία, τη Γαλλία, το Βέλγιο, τη Δανία, την Ολλανδία, την Ελβετία και το Τουρκμενιστάν με το Necdet Yasar Ensemble και διάφορα άλλα σχήματα και από το 1998 εμφανίζεται με το σχήμα “Istanbul Sazendelen”. Συνεργάζεται επίσης με το Istanbul Fasil Group και το Istanbul Tasavvuf (Sufi) Music Group, με το οποίο συμμετείχε στο “International Rabat Festival” στο Μαρόκο και στο “ Bas Carsi Festival” στο Σεράγεβο και έχει ηχογραφήσει 7 ψηφιακούς δίσκους ακτίνας και κασέτες. Ο Goksel Baktagir δουλεύει την τεχνική του “Αριστερού Χεριού” από το 1984. Δεν θεωρείται μόνο ένας από τους κορυφαίους δεξιοτέχνες της εποχής μας σε παραδοσιακές εκτελέσεις αλλά και εκσυγχρονιστής του οργάνου καθώς το έχει εξελίξει διευρύνοντας το ρεπερτόριο του και πειραματιζόμενος με διαφορετικά είδη μουσικής, όπως η New Age και η Jazz. Το 1994 εμφανίστηκε στο “ Akbank Jazz Festival μαζί με την Susan Kalifastau και το 1995 με την Lawrence “Butch” Morris στο ίδιο φεστιβάλ. Η συναυλία αυτή ηχογραφήθηκε και σε άλμπουμ το 1996. Άλλη μια συναυλία στη Γαλλία αυτή τη φορά, ηχογραφήθηκε σε άλμπουμ το 1998, με τον τίτλο “ Orient Secret”, και τη συμμετοχή των Arif Erdebil (Nay), Yurdal Tkcan (oud), και Selim Guler (kemence). Συνθέτει μουσική από τότε που ήταν μαθητής στο ωδείο. Τα περισσότερα από τα έργα του συμπεριλαμβάνονται στο ρεπερτόριο του TRT. Η ορχηστρική δουλειά του “Sazim” βραβεύτηκε σε διαγωνισμό που διοργανώθηκε από το TRT το 1990. Την ίδια χρονιά το τραγούδι του “Tek Kelime” (Μια λέξη μόνο) ήταν μέσα στα 10 δημοφιλέστερα τραγούδια στην Τουρκία, σύμφωνα με την εφημερίδα Milliyet. Το 2000 το άλμπουμ του με τίτλο “Dogu Ruzgan” (Ο άνεμος της Ανατολής) βραβεύθηκε από την Ένωση Τούρκων Συγγραφέων (Turkiye Yazartar Birligi). Ο Goksel Baktagir ηχογράφησε το “Okyanustaki Sesler” στο οποίο συμπεριλαμβάνονται 20 ορχηστρικά έργα που συνέθεσε στα πλαίσια διαφορετικών κλασσικών φορμών. Συνέθεσε επίσης τη μουσική του θέματος του ντοκιμαντέρ για το Istiklal Marsi (Εθνικός Ύμνος) παραγωγής του τουρκικού CNN. Σήμερα γράφει μια μέθοδο εκμάθησης για το κανονάκι και ένα βιβλίο με τίτλο “ Okyanustaki Sesler” μέσα στο οποίο θα συμπεριλαμβάνονται οι παρτιτούρες των έργων του. Τα τελευταία χρόνια ο Goksel Baktagir δίνει σεμινάρια στο Mimar Sinan University State School και στο Halic University. 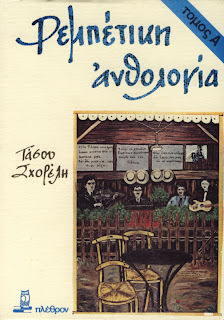 Description: This book has the life from interviews of the widow of Vaggelis Papazoglou, Aggela, who also was a singer in Smyrni (Asia Minor). 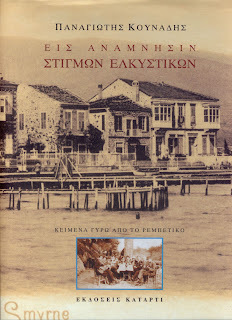 It talks about everything, the life in Smyrni, the destruction of Smyrni, the later life of a refugee in Athens, and about the life and works of her husband Vaggelis. Four books that cover the biographies of the Rebetes, contain rich collection of song, of know and unknown composers. Also include photos, music encriptions, and handwritten, documents. Born in Athens Vassilis Tsabropoulos, who is considered to be one of the greatest Greek pianists, started playing the piano from a tender age. A prodigy, was winning music competitions from the age of ten, and after graduating from the Athens National Conservatory, continued his studies on an Aristotle Onassis Scholarship at the Paris Conservatory, the Salzburg Academy and the Julliard School, with great teachers including Rudolf Serkin and Tatiana Nikolayeva.Tsabropoulos was an early achiever, winning the UNICEF competition when he was only ten. His distinctions and awards are too many and many are his collaborations with Orchestras in Greece and Europe, performing an ever-expanding repertoire in both recitals and concertos. He has future as soloist with Orchestras such as the Czech Philharmonic, the Yuta Symphony Orchestra, the Budapest Chamber Orchestra, the Sofia Philharmonic, the Italy Radio Orchestra, the Athens Camerata, the Athens Radio Symphony Orchestra, the Color Orchestra, the Lyon Orchestra and the Huston Philharmonic. Tsabropoulos has participated in many international festivals all over Europe and he has performed every season in the musical centers of the world, presenting an ever growing repertoire in recitals, concertos and chamber music. He has made the works of Beethoven, Mozart, Chopin and Bach central references in his performance repertoire but is also committed advocate of Russian music, frequently playing the works of Rachmaninov, Prokoviev and Scriabin. 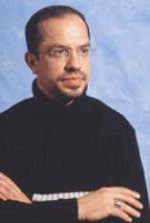 His playing combines intellectual probity with warm and musical feeling, which is marked by sensitivity to tone color and delicacy of finger work.While Tsabropoulos began his career as a keyboard virtuoso playing concerto and solo pieces, he has since broadened the range of his activities quite considerably. He has reputation as a classical pianist, an interpreter of 19th and 20th century music, and there is an internationally growing recognition for both his composing and his very special improvising piano playing. Tsabropoulos has composed works for Orchestra, string quartets, music for violin and cello and many solo piano works include the preludes which he wrote especially for Vladimir Ashkenazy. Since 2000 he is an artist of ECM Records label, and since then he has toured in Europe playing with Arild Andersen and John Marshal as a piano trio, and in piano solos with concerts in England, Germany, Italy, Austria, Norway, Denmark, France and Greece. Alongside his tight schedules of concert activities, Tsabropoulos has given master classes of compositions and piano and frequently he is a member of piano competitions.Vassilis Tsabropoulos is considered as one of the most meticulous musicians of his generation. He lives with his family in Athens. 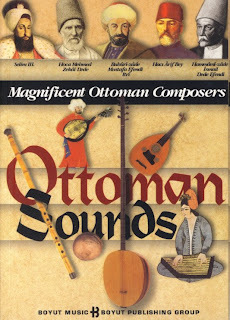 Description: Texts about the most reknown composers of the Ottoman culture. «Aggouris (Nick name the Cucumber)». 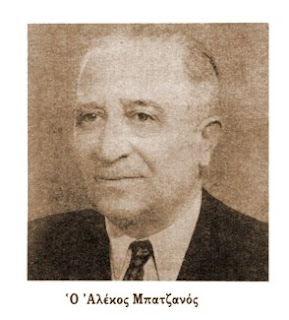 Born Smyrni, 1895-97 – died Athens 1943). Distinguished folk musician and song maker, of the leading pre-war Rebetes. Furthermore, he ranks among the few with character and integrity. He was playing santouri, mandolin, guitar, violin and banjo. Between 1919-20 he played in «Estountiantina Smyrna» group of Smyrni. 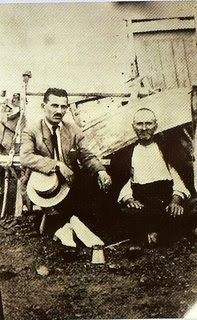 He came to Greece in the Destruction of 1922 and settled in Kokkinia of Athens. Recorded only during the 3 years 1933-36, and then collided with tenacious censorship of «4th of August » (about the song «The skint - Batiris». When the lyrics «I have to get my chance to get ill so if I have the right to live free », although the censors have offered to replace the «free» to «happy», and the author replied that the free is only happy !...). He used the nickname "Cucumber" and wrote notes on a music He wrote: "Under the lemon tree," The vegetables "("Police man dot hit me": 1933),« Argiles »(1933),« If I were a man »(1933)," Pente hronia dikasmenos – five years convicted"," Put me in your arms"," The xemagkas"(1935)," Strive 'koutsavaki man","Children of the road","Bampesa "(which impressed the [[the compose Attik]. The smuggling "(later appropriated by the B. Vasiliadis entitled "Ante two eyes "),« The Nikoklakias »,"Geromagkas ",« I say that it seems to me » (1936),« As I returned from Pilos »(1936),« We will solve » (or« mystery », 1936),« The remove »and several others who were released several«folk vardoi »on; ... On behalf of LP records to revive the old recordings of note: "Vangelis Papazoglou (1982)," The old is new "(1984)," The Smyrneiko song in Greece "(1993, reprinted in" Vangelis Papazoglou "). According to George Lekakis he was the composer that Tsitsanis admired most, and the sophisticated Nick Armaos regarded him as the "best of all’. He died in the German possession of Greece and under deprivation and tuberculosis. 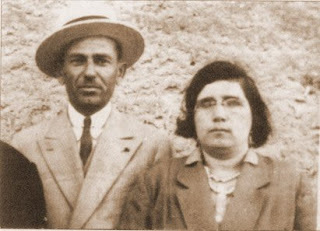 His wife, also known a singer of the rebetiko song, Ageliki Papazoglou (Smirni 1899 - Athens 1983) was the daughter of the famous violinist and santourieri Dimitris Maroniti (who has the nickname «the Chiotaki»). It is remarkable and that left 750 pages of handwritten notes with valuable information about the music life of Izmir before the destruction. From the "Dictionary of Greek Music"
This is a collection of the Greek composers of Constantinople (Ottoman era). Except from the tunes there are small biographies, photos, and suggested CDs for those interested more. This music leads us directly to the Ottoman periode of Constantinople from the 16th till the 19th century, where these compositions where made. 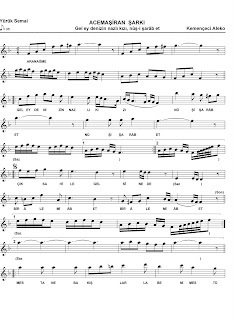 The composers and the music in unknown to todays Greeks, but appreciated very much by todays Turkish musicians, as they are included in there everyday TSM repertoir. Μια μουσική συλλογή από Έλληνες συνθέτες της Κωνσταντινούπολης (Οθωμανικής περιόδου). Εκτός από τους σκοπούς, υπάρχουν μικρές βιογραφίες των συνθετών, φωτογραφίες, και προτεινόμενα CD για όσους ενδιαφερθούν περισσότερο. Η ίδια η μουσική οδηγεί κατευθείαν στην Οθωμανική περίοδο δηλαδή της Κωνσταντινούπολης από το 16ο αιώνα έως και τον 19ο όπου και οι Έλληνες δημιούργησαν μουσικές συνθέσεις. Οι συνθέτες και η μουσική αυτή είναι άγνωστη στους σημερινούς Έλληνες, πλην όμως είναι ιδιαίτερα εκτιμημένη από τους Τούρκους...καθώς όλες σχεδόν οι εκτελέσεις είναι Τούρκικες. Its not made to fill up your hardisk of downloads, but rather to suggest, to introduce, music, books, Cds from both countries. A meeting point to discover music of both countries, but also open, for other music that surrounds us, like the Balkans, Armenia, music of the Middle East, as we all share common roots!